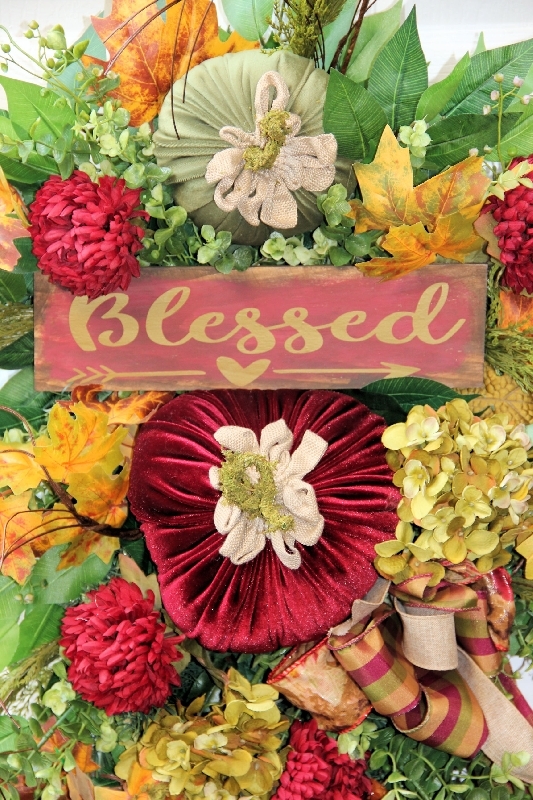 Fall Pumpkin Swag features lush velvet pumpkins in shades of bugundy, gold, and moss green, burgundy mums. 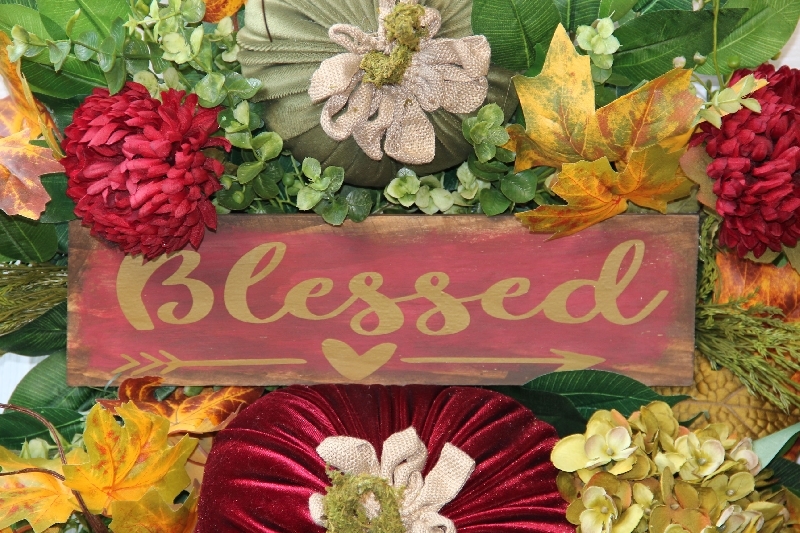 green hydrangea, fall leaves, curly twigs, ficus leaves, greenery, wheat grass, distressed wood sign with muted gold 'blessed' wording, and more. Finished with fall plaid, floral, and burlap ribbons. 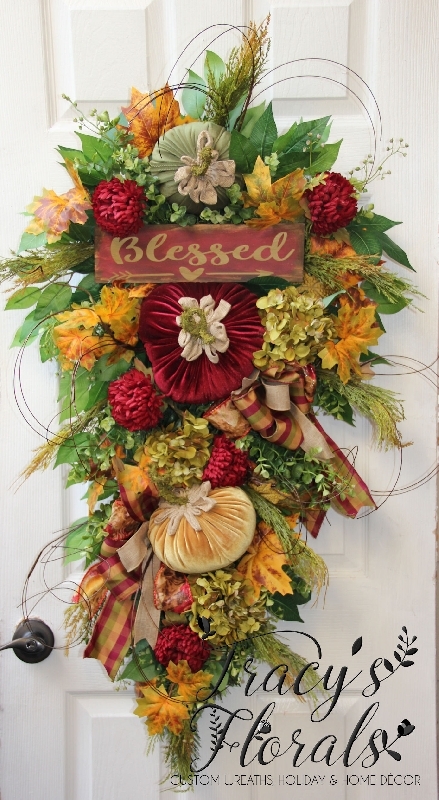 Measures a full 40" tall, 22" wide, and 7" deep at fullest points. ONE OF A KIND!! Indoor or covered area use recommended.